Superb platter by this Hertfordshire/UK based band. Two good powerpop songs on side a and to great punk stompers on side b. This is their lone record. 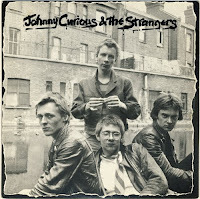 Johnny Curious released a solo seven inch in 1979. Please read more here and here. It isn´t not true that they record another single? Are you going to let us?